Signiant Media Shuttle provides two API libraries that allow you to integrate Media Shuttle with a MAM, DAM, or other application. The Media Shuttle Management API allows the ability to automate portal management, manage storage, and view transfer status. The System-To-Person API allows you to create links for end-users to upload or download files. Management API automates operations performed by Media Shuttle IT administrators or Operations administrators using the web console. The Management API allows you to automatically create portals, assign storage, manage users, and view active transfers. All Media Shuttle subscriptions include Media Shuttle Management API. 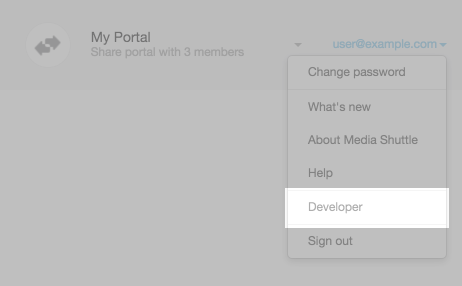 The following image outlines the general workflow for creating a new portal using the Media Shuttle Management API. Click on the image to view a larger version. The /transfers endpoint allows you to view transfer activity across all portals, including details about the transfer state and protocol, as well as the transfer rate, current file, and more. System-to-Person Automation API is an add-on resource library that lets you create transfer links for Share Portals using Media Shuttle’s API. Upload and download links created using the API can be automatically generated by in-house systems, commercial Media Asset Management (MAM) and Digital Asset Management (DAM) systems, or invoked from Manager+Agents. Signiant’s System-to-Person API allows you to create webhooks that authorize your application to receive information about portal events. Webhooks send subscription updates to a URL when a transfer finishes. 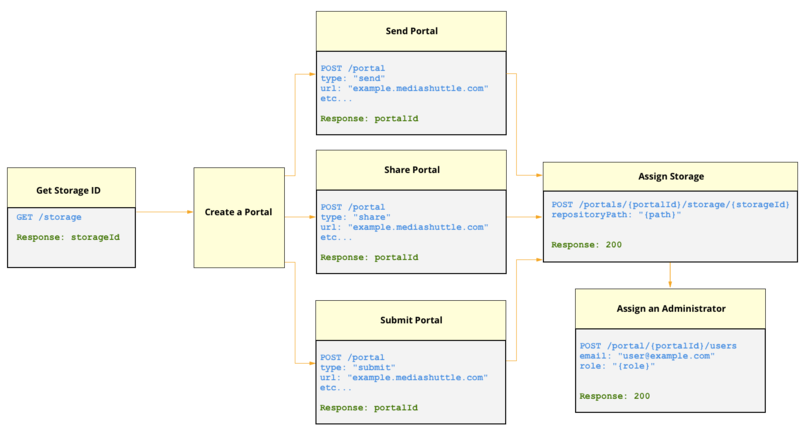 The following image outlines the general workflow for creating an upload or download token for a Share Portal using the Media Shuttle System-to-Person Automation API. Click on the image to view a larger version. To use Media Shuttle’s API, you must copy your API key from the Developer options. Log in to your IT Administration console. Click your user name to open the menu. Click Developer to view your API key. Click Copy to Clipboard to copy your API key to the clipboard. To revoke API access to your Media Shuttle account, click Regenerate API key.